Handsome, slow growing large shrub or small tree. 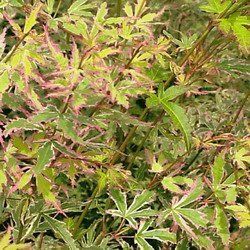 Pale green leaves with creamy white markings that turn magenta-red in fall. Very attractive specimen or accent.